Supposed to make flash so much faster. Yeah, right. I didn't even see any Terms of the license agreement. At least this time I didn't see them want to install any toolbars. IMPORTANT: AOL Software Update 4517.12.4 fixes security vulnerabilities and technical issues of the AOL software that you use. Please install this FREE update as soon as you are notified of it. The AOL Software Update mechanism eliminates the need to manually download software updates (patches). Whenever there is a need to update the AOL software, the patch is downloaded in the background, thereby minimizing the impact of the download on your online experience. Once the download is complete, you will be prompted to install the software update. Now AOL is getting in the habit it looks like. 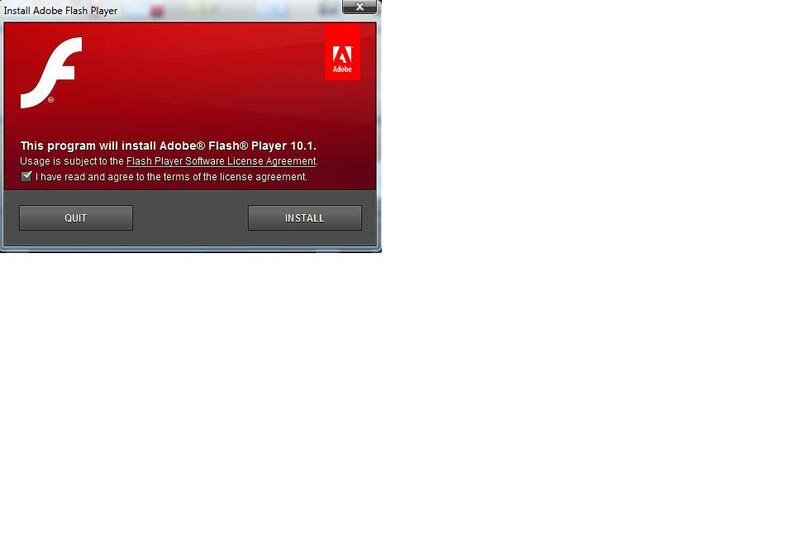 It's been a while now since Adobe has updated anything, or, have they been doing it behind my back. Like my time isn't interrupted enough. How 'bout yours? I just previewed this post and this blogger is putting a time stamp of 4:46 AM but, it's 7:46 AM here in Florida, EST. I should not expect perfection I guess. It's just not the norm anymore. A Waterpik is a wonderful little gadget that saved me my teeth and gums. I can't say enough about the product. I recommend the $29.95 unit if you can still find it for that price at Wal-Mart. They sell a few different models for more money but it just depends on you and what you want. Amazon.com search will yield the Waterpik Ultra Water Flosser for $42.77. I don't know what Ultra is but Flosser is a funny name for it. Let's get down to it. You may not know that you have gum disease. If you are chewing gum to get rid of the bad breath then I can guess you have gum disease. It is caused by food particles getting trapped below the gum line between the teeth and gums. Regular brushing and flossing cannot get to these particles sometimes and they sit there trapped and the germs then go to work. Before long you have noticable bad breath but nobody dares tell you about it. I'm telling you about because you need help. Dentists aren't going to tell you about this wonderful product except to try and sell you their own expensive brand. Oral-B comes to mind. They are usually around a $100 and sometimes more. Don't fall for it unless you have money to burn. I had gum disease and the dentist scared me into looking to doing something about it. He told me that if something wasn't done soon that he'd be referring me to an orthodontist for gum surgery. I was that close and I hear that gum surgery isn't fun and there's a lot of pain when they take the skin off the roof of your mouth to repair your gums. He instructed me to use a toothpick each night and use it to massage and probe around between my teeth and gums. This took me about 15 to 20 minutes a night but I did it for the two weeks that I was instructed to do. When the dentist re-examined me he found that the pockets had healed some and that I was on to the road to recovery. Pockets are mearsured in milimeters. 2 to 3 is not bad but 5 milimeters is trouble. Gum disease can lead to loss of bone if left untreated. Beware! Back to my story...That was a relief but I knew there was more I had to do. He offered me his brand of oral irrigator as they are called but I didn't want to spend that much money. I decided to go shopping at Wal-Mart and I found many different brands and prices of these products. I had seen these before on the shelf but had no idea what they were for. I knew then it was time to buy one of these. I've been through two Water Piks in the last couple of decades now. I got my wife to use it also. Her dentist had her coming to see him every three months for treatments that were not fixing the problem but only padding his wallet. The dentist now gives her a good report and she is relieved. She uses the Waterpik sometimes twice a week to my one. She loves the way it makes her gums feel. That's another thing. I recommend and you'll find that once a week is sufficient. Be late and you'll soon notice the icky feeling your gums will start to feel again. A once a week five minute use of this little miracle device is well worth your time and investment. What to do. Buy a Water Pik. Buy a bottle of hydrogen peroxide and a bottle of mouth wash. Fill the Water Pik container with a nice warm cup of water. Add a capful of peroxide and a capful of mouth wash. Then, fill the container to the top with warm water. You might want to use some ear plugs also as it can be loud. You are ready to begin. Set the pressure setting on the pik to maybe the 2nd setting to start. Hang your head over the sink and insert the jet tip into your mouth and close your lips around it. Turn on the switch and then start either on the top or the bottom row of teeth and the back of one side. Work your way around each tooth letting the water jet pulse in and around the teeth and gums. Linger a few seconds per each tooth, moving back and forth and in front and all around the gums. You may want to start with the first setting to see how this feels before you move up to the 2nd. I have stayed on the second setting forever. It just feels fine to me and when I tried moving up to the harder level it just hurt my gums for days. You don't want to cause damage to your gums. Experiment to see what is best for you. How my wife can use the hardest setting, five, is beyond me. It may take you a few weeks to be able to time how long to stay on each tooth so you have enough water mixture that you end up at the last tooth and use the last bit of water at that point. No worry though, if you run out of water mixture just add more. It won't hurt to use more time and water mix on your gums. I'm to the point where I have a little mix left so that I'm able to massage my upper and lower gums back and forth a few times to end the session. Keep an eye on the container with the mix. Try to use half the container on either the upper or the lower and then time to rest for the other. You will notice by feel what is doing best for your gums as you work the pik along your gumline. Some areas feel they don't need much work, others you might want to linger a little bit longer, especially the areas with deep pockets. Try to aim for having a little mix left to massage the upper and lower gums, it really feels great after your done. Keep a log somewhere to be able to remind yourself each week on that one day and time that works out best for you to do this little procedure. I keep one of those pocket monthly planners on my side table by the bed. Once you get in the habit you will feel so much better about yourself and your friends will notice too. Maybe you will get up the courage to tell them of your find. I've helped several family members already. I almost forgot to tell you that the first time you do this you probably will notice some blood in the sink while you're doing this. That's because your gums are in the stage of disease where you are disturbing the bacteria in the pockets of the gums. It's okay. After a couple uses you will no longer see any blood, and you will be on the road to healing with heathly gums once again. Do it for your health, do it for your friends, but do it. You've probably read where they are finding that so many things are caused from gum disease. Google it and see. Okay, what are you waiting for. I have been buying a lot from Amazon lately. It's convienant and the shipping is fast too, sometimes free. Write back and comment your experience for others too so they might be helped.